Our annual trip to Haiti will take place this May. We are in the process of planning our next trip. More details to come, so please come back to learn more or feel free to contact us. Looking forward to having you join us on our 23rd trip! Flight (2-way ticket): Approx. $650 – It depends on the airline you choose to go with. Most volunteers choose to travel on the same flight. Accommodations: $660 ($55/day) + 10% gratuity – This includes daily breakfast and dinner, clean filtered water, shared accommodations (women and men room separately) and housekeeping. Vaccines: It is recommended that you take the necessary vaccines, such as Hepitatis A, Hepitatis B, Typhoid and Malaria. Some medication may require to be taken in advance of your trip. Please consult with your doctor. 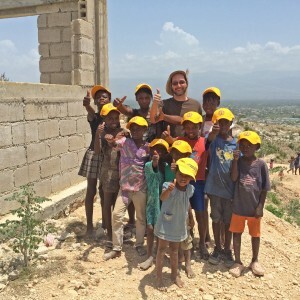 We ask for our volunteers to have a deeper commitment and to commit to two weeks in Haiti. This is particularly required for new volunteers. If you are a recurring volunteer and can only stay for one week for valid reasons, exceptions will be made. As a volunteer, you are also required to commit to a workplace for at least 3 days at a time. For example, if you choose to work at the malnutrition clinic, you are required to stay there for at least 3 days before deciding to work at another place. If you choose to switch placements throughout the trip, we ask that you commit at least 3 days to that place as well. In order to be a volunteer with TWA in Haiti, you are required to attend at least two events, fundraisers or meetings. You can come to 2 meetings, a fundraiser and a meeting, 2 fundraisers, however you wish to distribute that. But you must be involved in at least two TWA gatherings before we arrive in Haiti. Photography – As a volunteer with TWA, you are only permitted to take pictures of people if they give you their permission. You are not allowed to take pictures of people’s living environments or devastating structures unless those in the community personally give you their permission. TWA tries not to be invasive or intrusive to our best capabilities, and taking pictures of the suffering is often intrusive to those being photographed. Try to remember that we are there to give; not to show others that we are giving. We will be running an arts program during our trip this year. Your contribution of art supplies (i.e. crayons, pain, brushes, white boards, construction paper, glue sticks, etc.) will be greatly appreciated.